Note: This is an Americanized Version of an article that was originally published in the London Times. Because of what is currently happening in America, we decided to republish it. 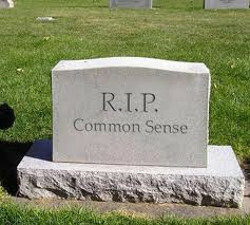 No one really knows how old Common Sense was when he died in America. Adults, not children, are in charge - Some readers need to announce this to the people who live in their home. CONTINUE READING: The Death Of Common Sense In America.